Service is an important pillar of our sisterhood. 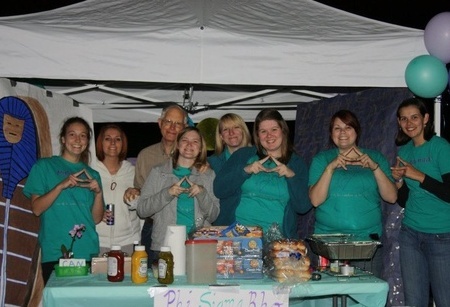 Check out some of our Phi Rho sisters volunteering their time for the benefit of the local & global community! 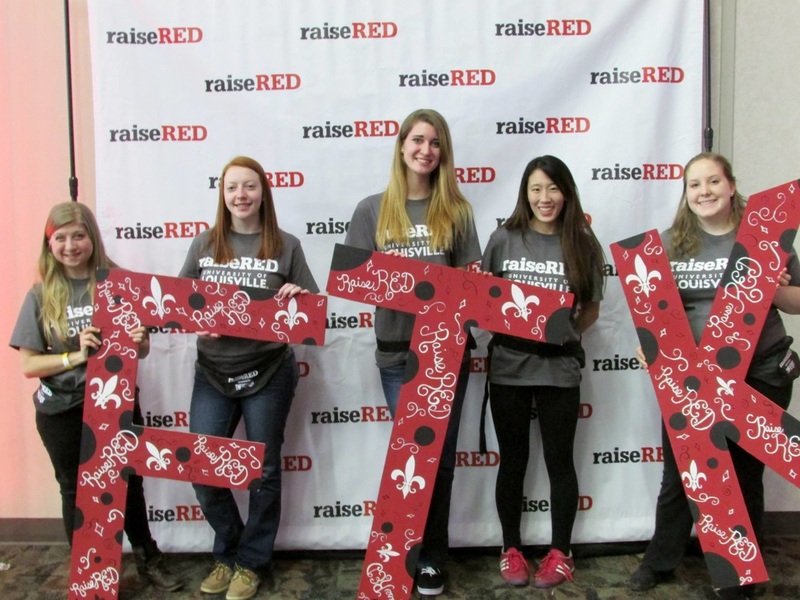 Our sisters participated in UofL's RaiseRED, a dance marathon benefiting pediatric cancer and blood disease research. They helped raise a lot of money for a great cause, and had a blast! 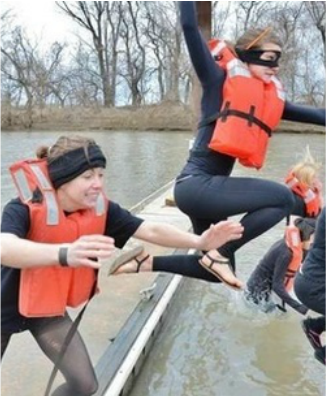 At Polar Plunge, Mary, Mallory, and Stephanie, part of the Ninjaneers team, jumped into the icy Ohio River in support of the Special Olympics. 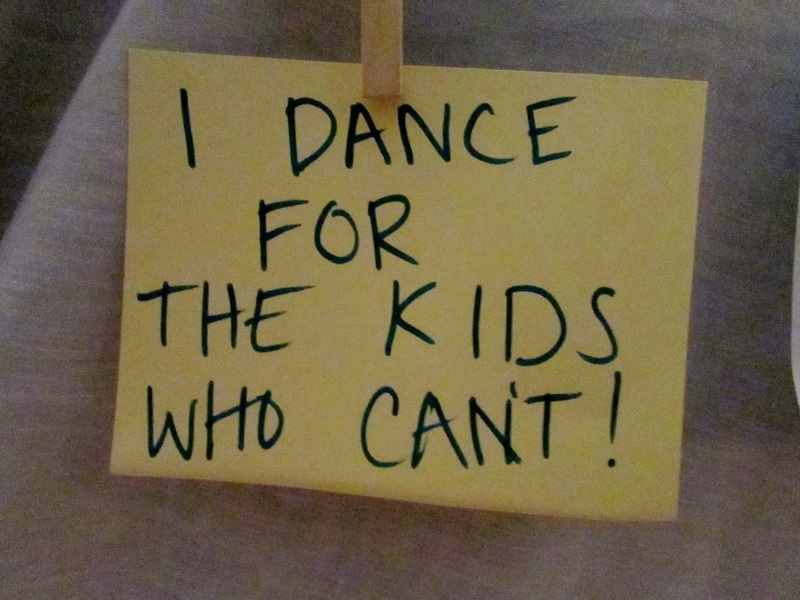 The group raised $1,322! 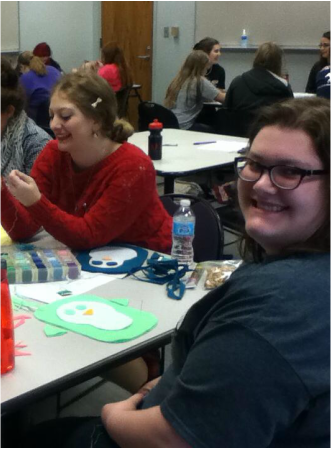 One of our sisterhood service events was making stuffed animals, writing letters, and painting canvases for patients at Kosair Children's Hospital! At UofL's Relay for Life, we kept someone on the track all night long! We also sold hot dogs, chips, and pop! Our tent was a hit and all the money went to support the American Cancer Society. Amy's dad, a survivor of cancer, came out and walked the walk with us. 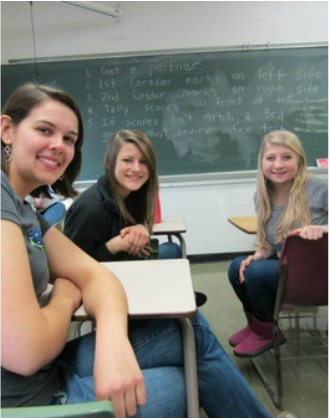 Our first Sisterhood Service Project was volunteering at the regional MathCounts competition. We graded exams for 3 hours! It felt great to know we were helping out with a program that encourages advanced mathematical skills at such a young age.